Review: MADD 50th Gala Performance 2017 at Nottingham Playhouse. – East Midlands Theatre. 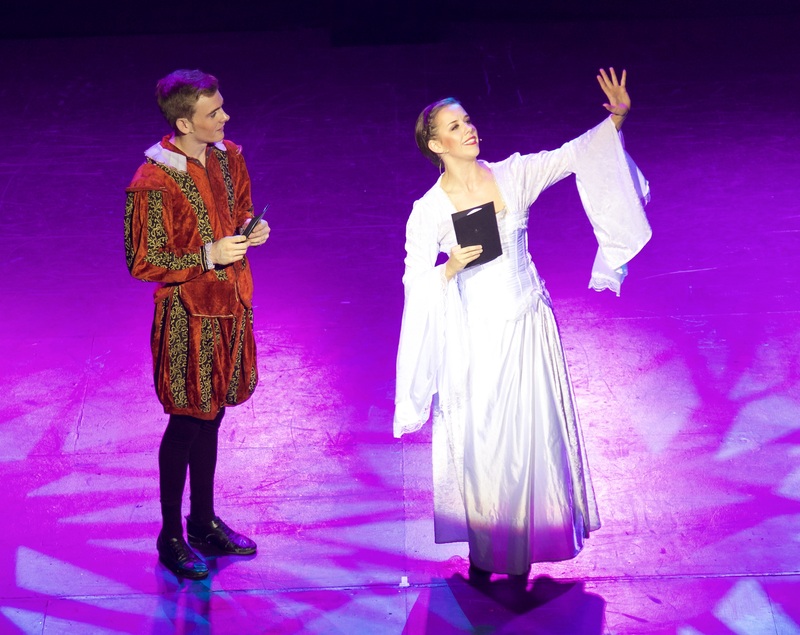 Review: MADD 50th Gala Performance 2017 at Nottingham Playhouse. 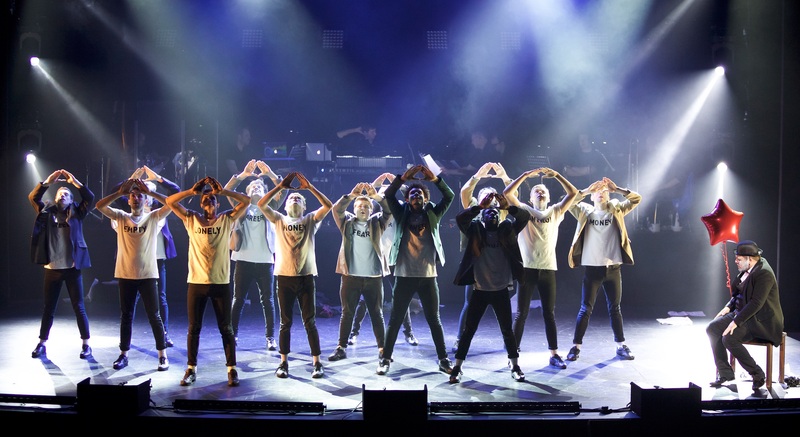 MADD College blast open their annual gala with an energetic dance section Six Months Out Of Every Year choreographed by Andrew Wright and the dancers are predominantly from the third year creatively augmented with five from the second year and two from the first year. This is MADD’s 50th anniversary year and we look forward to tonight’s packed programme for something extraordinary from Nottingham’s very best professional Musical Theatre training ground. Throughout this exciting evening the live, eleven piece band, is conducted by Musical Supervisor Mike Cotton and the dynamic lighting and sound are from Lighting Designer Leigh Mulpeter and Sound Designer Rob Ketteridge. Their combined skills will make this one hell of a professional show for these triple threat students and their audiences. Knowing the ultra high standards of previous MADD Gala shows the costumes will also be top notch throughout. Next up is Ally Ambrose, a second year vocalist who gives us a fine emotional rendition of She Used To Be Mine from Waitress. The tender song speaks of the trials of mixed up love and hurt. Partner In Crime, is performed by splendid vocalists Braidley Wilson and Kerry Moran and choreographed by Mark Hedges and staged by Emma Clayton. Partner In Crime gets a huge round of applause for its tight student choreography encompassing a large dance ensemble of third years with selected second years. This is followed by Shadowlands and the piece is choreographed by Stewart Arnold utilising the enviable talents of the first years. If this is what they can do now we can hardly wait until they reach the standards required of the third years. Turn It Off is brilliantly choreographed by Emma Clayton incorporated with classy tap choreography by James Doubtfire. As soon as the talented Braidley Wilson starts off the Book of Mormon song Turn It Off with “I gotta a feeling that you could be feeling a whole lot better than you feel today…” this audience is with him all the way. Sean Chamberlain, Luke Haywood, Ryan Kayode, Ben Sharpe and Zain Sutherland all add to this fun number about being gay and a Mormon. Keeping on a religious theme we are now entertained with Bless The Lord from Godspell choreographed by Mark Hedges. This features Amy Lightfoot and Gwen Davidson and all the second years in exuberant choreographic form and some bright sixties period costuming. 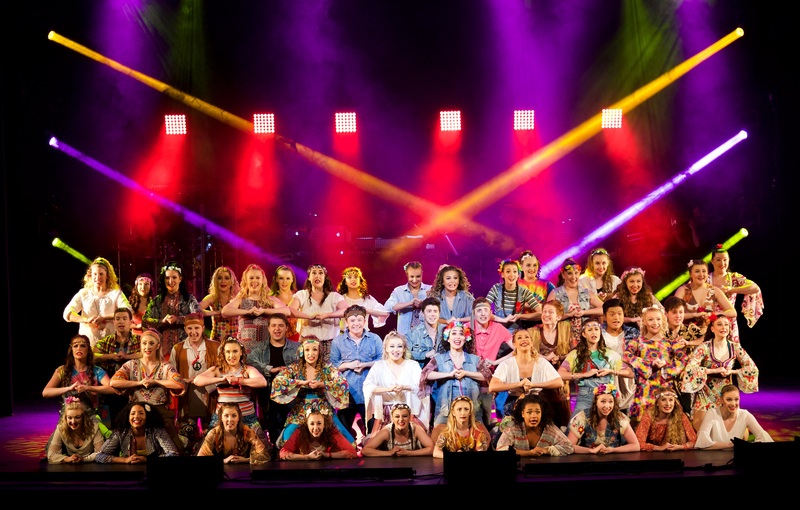 It makes this reviewer keen to see a real production of Godspell on stage especially if it has the energy and vibe that pours from this presentation. Screw Loose is from Cry Baby and tonight’s gala gives third year Sian Fletcher an excellent chance to show off her comic timing and powerful singing. This audience are blown away by her nutty rendition. Bottoms Gonna Be On Top is choreographed by Emma Clayton and James Doubtfire. This jaunty comedy song is from the very popular Something Rotten. This version features the undoubted talents of Luke Heywood and Ben Sharpe as lead vocalists with the lively ensemble of all the third years and a selection of second and first years including Chloe Palmer, Layla Gill-Dale, Katie Horton and first year Vanessa Barwick. The entire ensemble smash it! Knowing the pedigree of the uber talented MADD students we think the expression “smashed it!” may start to apply to each and every number as this thrilling evening continues. Read this review and then check out this promotional video from MADD to get a flavour of the dynamism and love involved in each number. Then if you weren’t here tonight (Friday 30th June) book a ticket or three for the last performance on Sat 1st July! Hand In Hand, written by Kait Kerrigan and Brian Lowdermilk is sung by second year vocalist Rachel Head who nails this jazzy number and looks superb in her shimmering dress. Every inch the jazz star. Stuart Hayes choreographs Collide featuring selected second and third years and like many of the choreographed numbers the standard is very very high. The roof raising number We Beseech Thee, also from the musical Godspell, is given full belt by Liam Morris and all the first years, and it is choreographed by Mark Hedges. The sixties tie dye costumes give this number a visually vibrancy on top of the terrific dance work and singing. Two pieces both staged by Emma Clayton follow: Dentist from Little Shop of Horrors featuring the hilarious Sean Chamberlain as the wicked dentist with Ben Sharpe, Naomi Critchley, Sian Fletcher, Charlotte Salter, Katie Gough, Molly Kirk and Charlotte Bushell as comic support. The second piece is She’s My Sister featuring third year vocalists Amy Murchison and Charlotte Salter. She’s My Sister is from a new musical The In-Between and both Murchison and Salter bring out the love hate relationship between the sisters. There is great sharpness of delivery and spot on comic timing in their deliveries. Finishing of the first act we have Carnival Of Colours choreographed by Mark Webb and featuring all of the second years and, We See The Light from Something Rotten, is choreographed and staged by Emma Clayton featuring the third years and full company. The cast and audience end the first half on a big high. The audience is eager to return to their seats and the second act begins with Hollywood Wiz this time choreographed by Ryan Lee-Seager and Mark Hedges featuring a selection of talented students from all three years. Throughout the whole evening the show’s transitions are professionally staged. Third year student Lauren McAvoy totally nails the next song, When it all Falls Down. Wizard of Oz is choreographed by Sue Sparham. The Good Fairy is played by second year Layla Gill Dale and the dance ensemble is offered by a selection of first year students. Next up is Candy Store staged by Emma Clayton. This sassy number is from Heathers and is well performed by a selection of the third year girls. Also from Heathers comes Dead Girl Walking sublimely performed by Megan Petite. 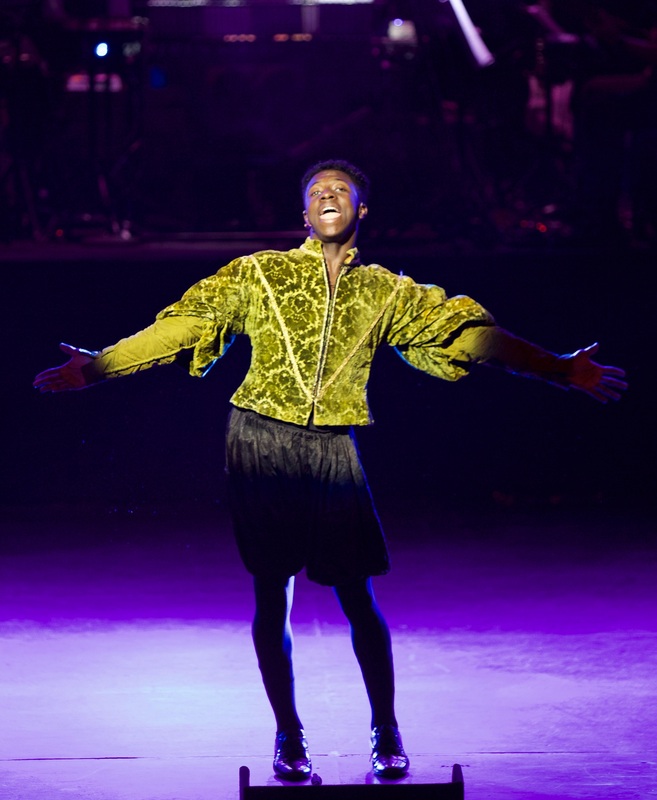 The Sad Clown is choreographed by Ryan Lee-Seager and features a selection of terrific young male dancers from all three years including the charismatic Zain Sutherland. This is trademark inventive choreography from Ryan Lee-Seager and excellently performed by his dancers. Bye Bye Blackbird is choreographed by Sophie Lowe with additional tap choreography by James Doubtfire. Lead vocalist Layla Gill-Dale and second year students build up the dance fever and the number gets more creative as it evolves. Blowing in the Wind is choreographed by Stewart Arnold with selected second and third year students. Third year students; the gifted and funny Katie Gough and talented Zain Sutherland put across We Are Two Of A Kind with much humour and personality. Get Me What I Need from 13 the musical is staged by Emma Clayton. Featuring lead vocalist Tom Simpson the diction from Simpson is pin sharp, the comedy acute and support is through a small ensemble of selected students from across the three years. Who Will Love Me As I Am? from Sideshow is sung beautifully and very movingly by Siobahn Murray and Beth Brookes. The Black Death is choreographed by Emma Clayton with selected third and second year boys. This is sterling work from the ensemble with a touch of hooded menace and tinged with humour. Proud of Your Boy from Disney’s Aladdin the musical is sung by Ryan Kayode. His terrifically sung expression brings a lump to the throat and a tear to the eye. Kayode’s performance is definitely one of the shining highlights of this packed evening’s work. This young man oozes professionalism and bags of undeniable charm. A Friend Like Me, also from Disney’s Aladdin the musical, brings us to the finale with lead vocalist Zain Sutherland and full company of over 120 students. The energetic and colourful finale is choreographed by Emma Clayton, James Doubtfire and Mark Hedges and gets a standing ovation from the totally wowed audience who are universally bowled over by the talents being grown and emerging from Nottingham’s MADD College. And yes, overall the students and the professional creative teams at MADD, “Totally smashed it.” Founder, Frances Clayton will be very proud lady. The MADD Gala Performance 2017 continues on Saturday 1st July at Nottingham Playhouse. Review: The Addams Family – the musical comedy. (touring) Nottingham Theatre Royal.